Cecil Lynch's Fortune Club at 22 Fremont St. was a slots only club. It opened Feb 18, 1958 and closed Nov 16, 1966. 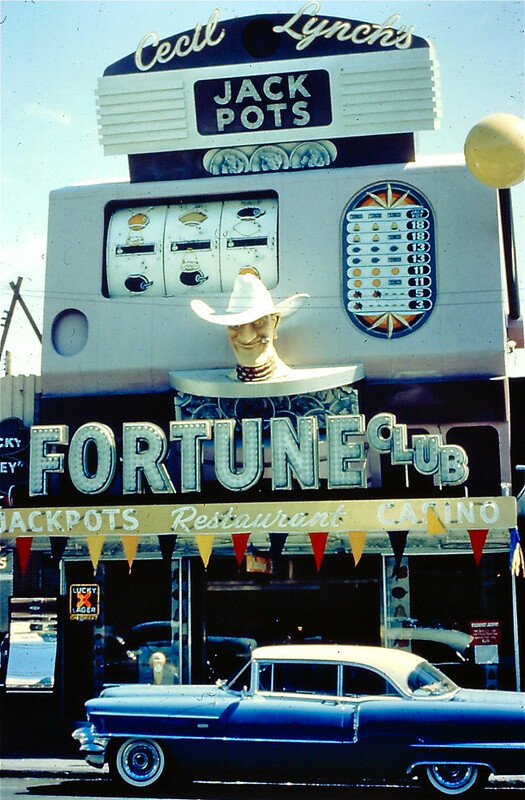 There was another "Fortune Club" located at 109 Fremont St. from 1953 to 1958 that had slots, blackjack and bingo. That club was operated as a partnership with Cecil Lynch, Harry Gordon, and Robert Van Santen. same big slot machine front on the building. Cecil Lynch was also the operator of the Golden Slot Club having gained approval for a license for it on Nov. 22, 1957. Like many other of the colorful neon signs in downtown Las Vegas, this amazing sign was the property of Young Electric Sign Company. 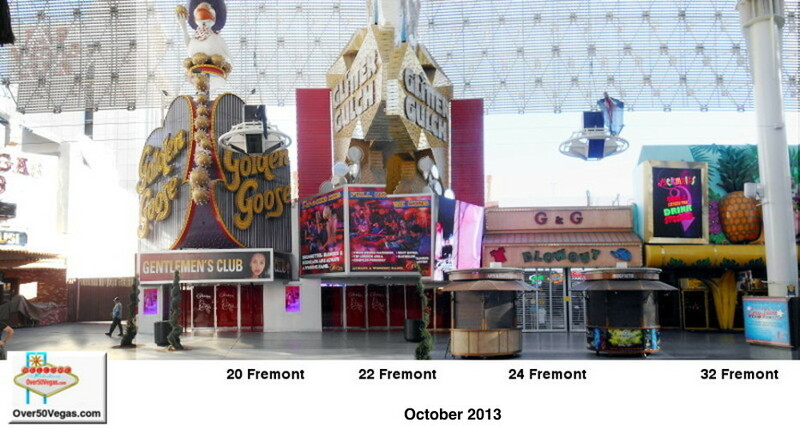 Due to the cost of the signs, it was more economical for the casino to "rent" their signs from the sign company. This also enabled the sign company to recycle the signs for use by the next business to take over the location. This can easily be seen in the change from the Golden Slot Club to Cecil Lynch's Fortune Club. It is essentially the same front with just a few changes. handle on the slot machine sign. The company contended the handle is not part of the sign. At the time, Lynch owed $15,525 in rent for the sign. The court agreed with Lynch and said he did not owe the money because the sign company failed to repair their sign! 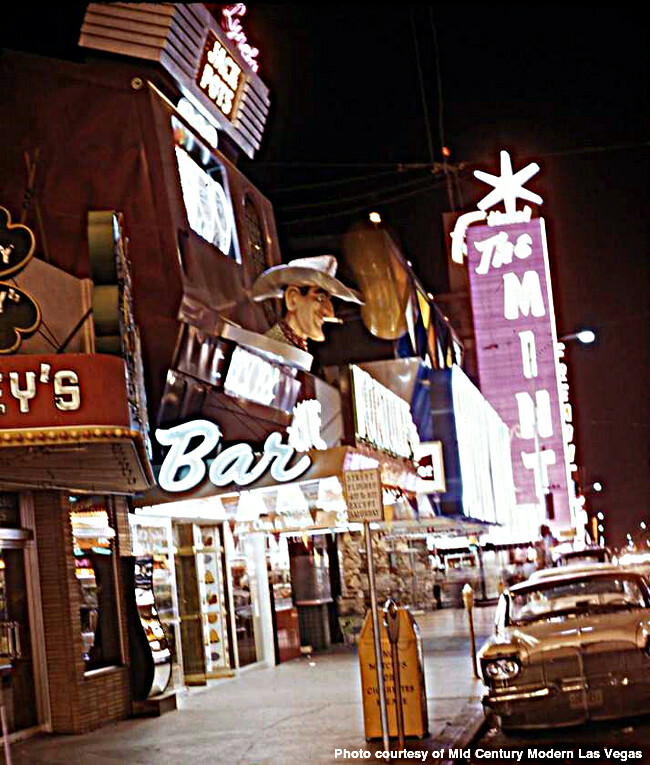 Cecil Lynch's Fortune Club from the side looking down Fremont Street toward the Mint Tower taken ca. 1960.